I wrote a series of articles this month on the New England Craft Beer Hall of Fame, the beers that had the biggest impact on the massive growth of craft beer in the region. The first part has the guidelines and my picks, the second has the selections of some of my readers and part three is a poll where you can vote for your favorites. Lots of great discussion around this topic and so many beers that were worthy of nomination. Let me know what you think and add your votes to the poll! Bryan Roth has an in depth look at the challenges Craft Beer Cellar is facing. The franchise model with retail is tough, I can see why franchisees would be angry if they don’t feel like they are being supported and I can see why the owners would try to set standards for the brand. I’ve been to a number of different CBC locations and there is a massive range of customer experiences between branches. At the best locations you get knowledgeable staff and great selections of fresh beer. At other sites I’ve experienced indifferent or clueless staff and beer that is way past code gathering dust on the shelves. I love the CBC business, I think it is important to have stores that specialize in beer, and it should be interesting to see how they address the concerns of all involved and move the brand forward. Boston Magazine has published their annual Best of Boston list, and congratulations are due to Mystic Brewing, which was named the best brewery. Mystic has always made stellar beer, and their move into popular hoppy styles has introduced their craft to a much wider audience. One of the best things about summer is enjoying a cold beer outside. The Mass Brew Brothers have a rundown of the best breweries with outdoor seating in Metro Boston, Northeastern Mass, Central Mass, and Western Mass. It looks like it will be a warm weekend ahead, so grab a patio chair and cool off with some delicious beer! Josh Bernstein explores the phenomenon of struggling dairy farms finding new sources of revenue by brewing beer. It is crazy the difference in price between milk and beer. This article also features local start-up Stone Cow in Barre, some great exposure for the young brewery! I recently wrote an article wondering if a modern brewery can survive without brewing an IPA. One interesting opinion that came out of this discussion was that some breweries use the sales of their hoppy beers to fund their experimental and interesting but lower volume beers. Good Beer Hunting explores this further, showing how flagship beers fund passion projects. A great example is Allagash, where the sales of White fund many of the creative barrel aged and coolship experiments. The Portland Press Herald examines the tough market for many regional breweries, comparing the shrinking market for Shipyard with the still-growing success of Allagash. I think there are many lessons to be learned here. Slower growth (without taking on too much debt) is good, and it is important to continually innovate and adapt. It is possible for stuggling breweries to turn it around too, for example Geary’s Brewing has been revitalized under the direction of new ownership. Sebago Brewing is celebrating their 20th anniversary this year, mostly thanks to a willingness to adapt to the changing market. Making it to 20 years is impressive for any brewery, and Sebago makes a wide range of quality beers. Notch Brewing is releasing this years batch of The Mule, and coming to the defense of corn lagers. Part of this article is from years ago, but it still applies today. Carla Jean Lauter writes about the decline of growlers as more breweries adopt cans and crowlers. This is fine by me, growlers have always been my least favorite beer package and I would be fine to never fill another. Lots of news happening in Marlboro. Longtime homebrew shop Strange Brew is opening their own brewery in their expansive shop off of route 20. I’ll be interested to see what strange and creative beers they come up with. Two other breweries, Lost Shoe and Tackle Box are also opening soon. Unfortunately, brewery-in-planning Walden Woods has decided not to move forward with their opening after unforeseen circumstances led to financial issues. The Mass Brew Brothers compiled a list of the biggest breweries in Massachusetts, based on total production. Some surprising names on the list, and it is crazy how much beer a few of these breweries produce and sell despite limited distribution. Downeast Magazine tells the story of how Allagash White conquered the world. This beer was an extremely easy selection in my New England Craft Beer Hall of Fame. Castle Island has launched a new classics line, which features approachable versions of classic styles. I love to see some less common beer styles get some attention, I’ll be interested to try some of the beers in this line. Norm Miller picks his top 6 pilsners brewed in Massachusetts. Great selections on this list, but I would need to add Notch Session Pils, one of my personal favorites (Norm told me that was the toughest cut for him). Paste Magazine continues their phenomenal series of blind tastings by covering pilsner, with a few local standouts placing high. 52Brews has compiled suggestions from 24 homebrewers on how to make great beer at home. You might recognize one of the names on the list. Good Beer Hunting has been doing a series of articles with their Fervent Few community, asking a specific question and compiling a list of responses. Having all of the different views in one place is enlightening, especially on divisive issues. A recent example looks at the beer app Untappd. Bent Water is starting a major expansion of their Lynn brewery. A large number of Massachusetts breweries are in the suburbs, creating challenges for on site consumption. The MBTA can help, as many of these breweries are accessible by commuter rail and there are programs to facilitate weekend train travel for craft beer fans. One more beer garden to add to the list, this one in Arlington and serving beers from Aeronaut. A number of new breweries are opening in mid-coast Maine. This is where I’m from and I still make regular trips to visit family and friends in the area, so it will be fun to check some of these places out. The Red Hook brewpub in Portsmouth is transitioning into the Cisco Mainland Brewpub, serving beers from the Nantucket brewery. 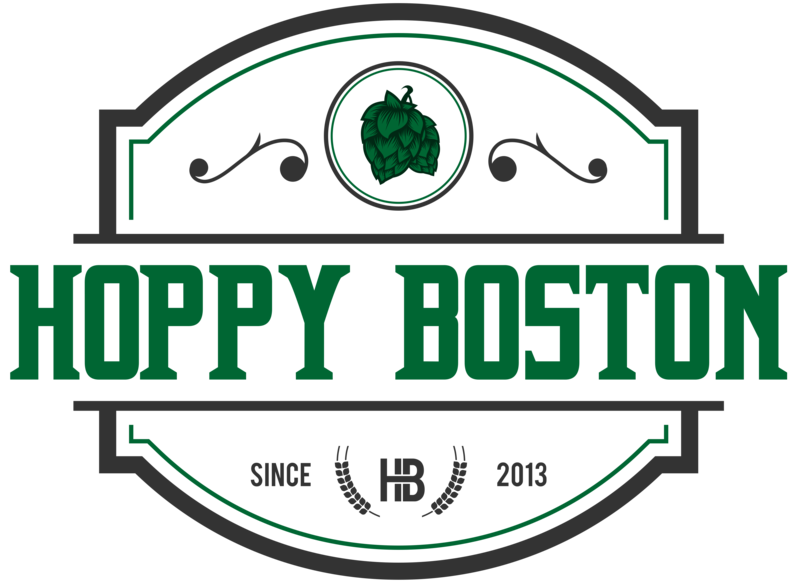 Democracy Brewing, Boston’s first cooperative brewery, is opening soon in Downtown Crossing. For those who like extreme beers Gear Hungry has a roundup of the strongest beers in the world. WGBH, the Boston PBS affiliate, is doing their annual Craft Beer Festival Fundraiser in Brighton on July 14th. Here are a list of breweries that will be pouring! That is all for June, thanks for reading and feel free to pass along any great article you find (or write) in the future!